It’s a tale as old as summertime: You pull up to the boat launch at your cabin, beach house or other waterfront property and someone’s beat you to it. Or worse, a whole queue of people. But instead of waiting your turn, now you can veer over to the beach and drive straight into the drink. That is, if you’re riding in the Electric E4 from Sealegs. 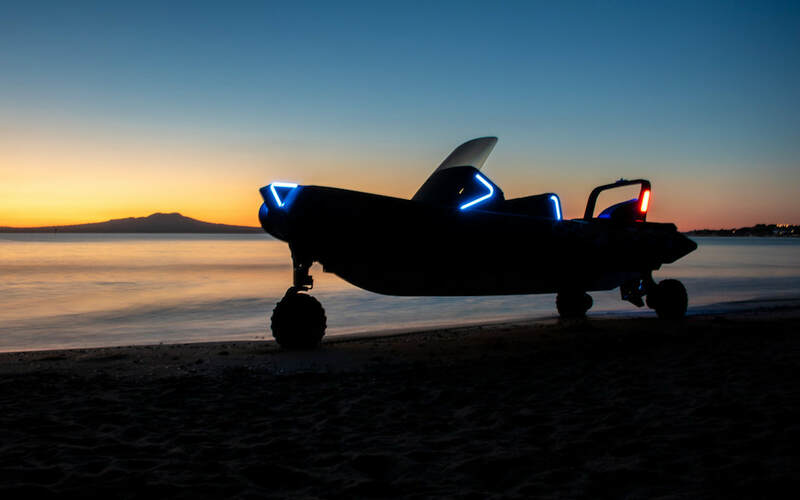 The company has been crafting all variety of amphibious vehicle for the last 13 years using their patented land-to-sea system, but this new electric model is a reason to swap out your current outboard. 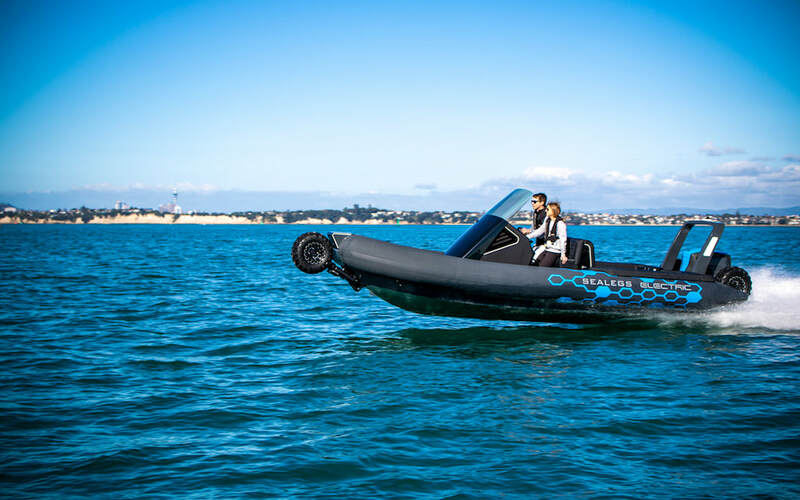 You can watch it in action above, but here’s the gist of it: in the water, it’s an almost-24-foot outboard vessel that can hit just about 46 MPH; on land, it’s a three-wheeler that tops out at 6.2 MPH (all the better, as everyone will want to snap a photo of you riding dirty down to the waterfront). 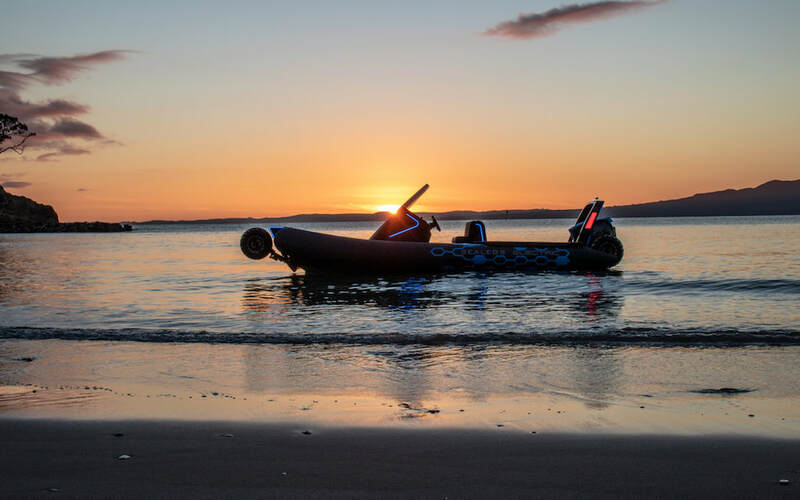 The amphibious transition happens with the push of the button, the brushless hub motor wheels lifting up to lock against the hull or lowering down in shallow water to drive back ashore. 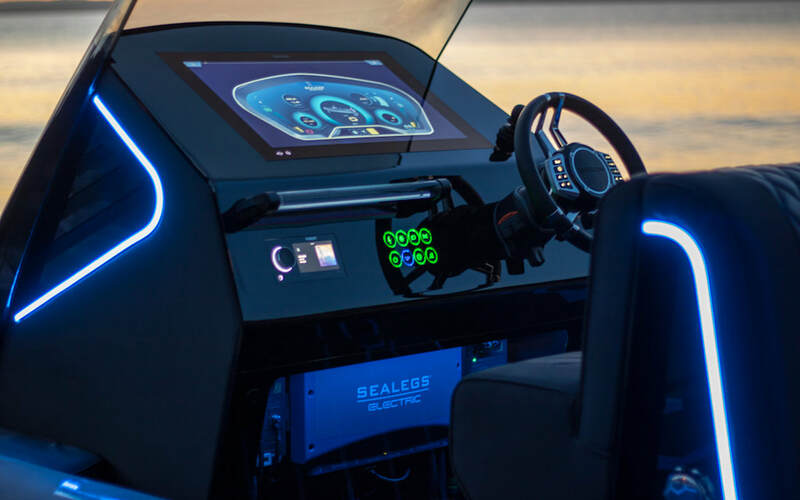 “With Sealegs Electric E4 we have made our amphibious system 33% faster, 60% quieter and 50% more powerful,” says Maurice Bryham, Sealegs Founder and Chief Technology Officer. 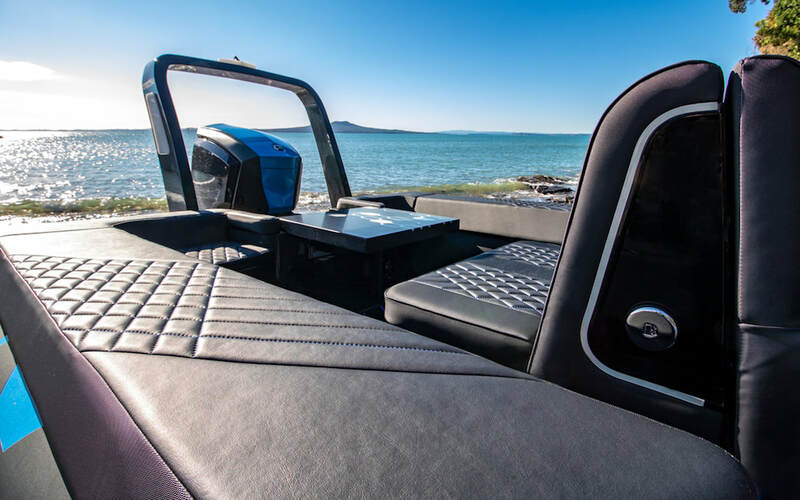 That electric system includes a 7 kWh lithium battery, which charges via a plug, regenerative braking on land and the outboard motor on water. Other features include space for up to eight people, a sleek “glass bridge” with touch display, sunbed on the bow and some satisfyingly futuristic lighting details. No word on price, which is most likely due to the fact that it’s not rolling out of Sealegs facilities until Summer 2019/2020. Wait a minute, “Summer” 2019/2020? 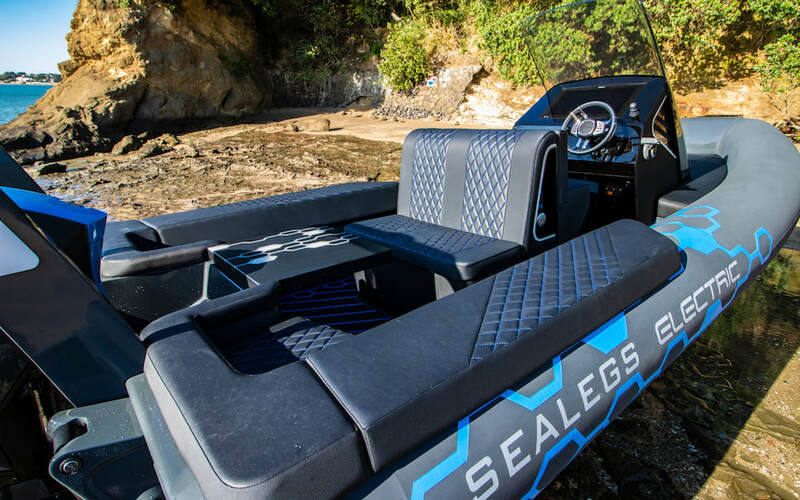 Ah yes, Sealegs is based in New Zealand, so for us that means next winter. But they do have a North American outpost in Rhode Island, and you can get in touch here. For immediately available amphibians, we’ve got this little Jeep on our Christmas list.